Whereas office cubicles and furniture that are liquidated either end up being sold or donated to a third party, recycled furniture is basically material that has outlived its usefulness and needs to be disposed of. However, just because an item is disposed of does not mean it needs to be discarded. Recycling represents a much more sensible alternative to simply throwing old furniture in the trash. It not only helps to landfill volume, it also provides raw material for the manufacture of new furniture. On both levels, it offers any organization a green alternative to outright disposal. Cubiture has a 30 yard dumpster and a partnership with a reputable Houston waste management partner. Any used office furniture, outdated office cubicles, or furniture that is badly damaged can be recycled at our facility. 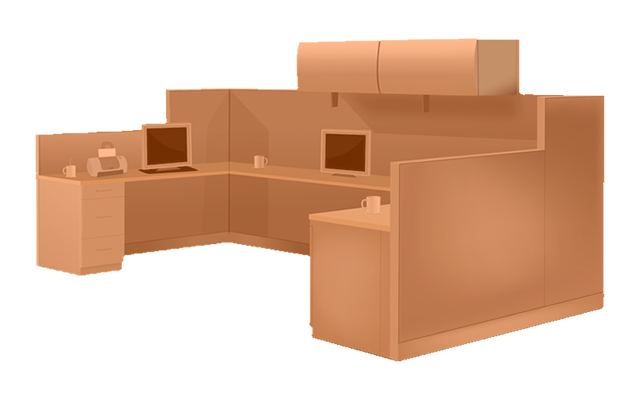 We will handle the pickup and processing of your old office furniture and discount the value of you trade in on your purchase of new cubicles and furniture products.